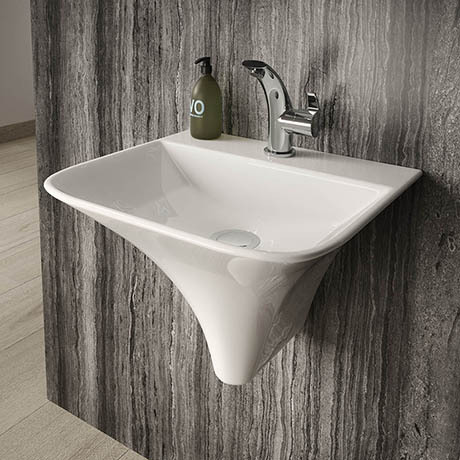 The Grace wall hung basin from Hudson Reed will add elegance and create a contemporary feel to any bathroom. Made from high quality fireclay, the basin comes with a single tap hole and no overflow. It's wall hung design makes the bathroom easier to clean and gives an option of fixing at a height that suits.